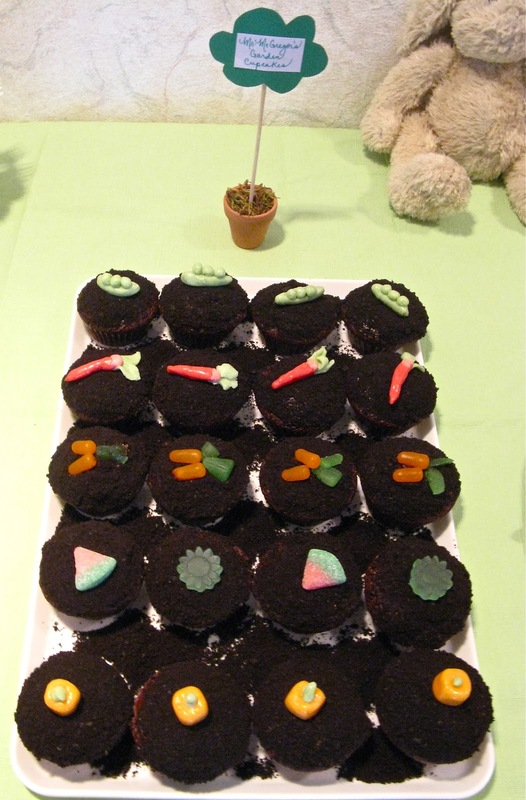 Mr. McGregor’s Garden Cupcakes – vegetables in dirt! How cute are they? Chocolate cupcakes with chocolate frosting and chocolate cookie crumbs topped with vegetables shaped from starburst candies, mike ikes, sunflower jujubes and sour melons. I can’t tell you how much fun I had making these! Benjamin Bunny Carrot Cupcakes with french vanilla frosting – decorated with these adorable Peter Rabbit Character toppers by Meri Meri from Make It Mine Parties. I was so happy to find them along with a few other items that were made for a Peter Rabbit celebration! Such as the personalized hats, napkins, plates, table cloth and cups….all in classical Beatrix Potter style. 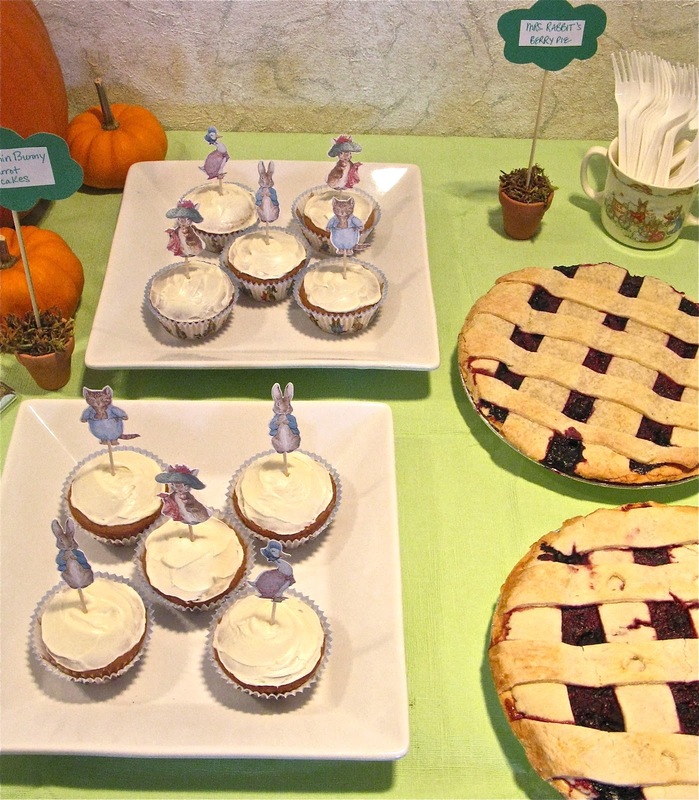 Mrs. Rabbit’s Berry Pie made by Little A’s Nana was a huge hit with the partygoers! It was positively delicious (thank you mom!). And one of my favourite treats was Flopsy Bunnies’ Blackberry Lemonade. Sweet and puckery! Perfect for washing down all the other goodies. He ate every last morsel! Mr. Smith and I had a blast on party day and on his actual birthday – the day after – we spent time just the three of us, playing with new toys, reading new books and eating cupcakes in our pjs! 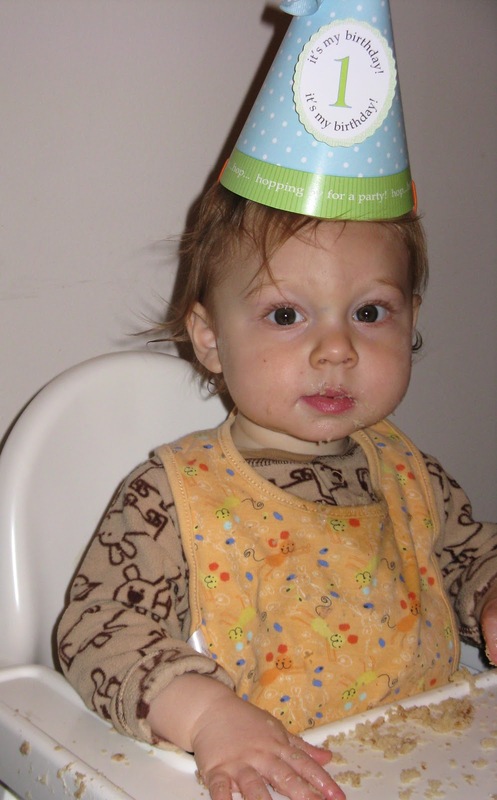 Happy 1st Birthday to my darling Aiden! I love you! In a large bowl mix together flours, cocoa powder, baking soda, baking powder. In a separate medium bowl, whisk eggs, add in sugar and olive oil, stir well. Pour into dry mix.Add in apple sauce, almond milk and vanilla extract. You’re ready to ice your cupcakes! Open up cookies and remove vanilla filling. Place cookies in a large ziplock bag and crush with a rubber mallet. Dip frosted cupcakes in the cookie crumbs! you can find to be creative and make veggie toppers with! vanilla and apple sauce. Pour into dry ingredients, mix well. Add in grated carrot and zucchini. Fill muffin cups 2/3 full. Bake at 350F for 20-22 minutes. In a large mixing bowl, combine icing sugar with butter. Add in vanilla and water. Mix until smooth and the perfect consistency (may need to add a few teaspoons of water). Frost and decorate cupcakes with Peter Rabbit Toppers. sugar to melt and form a syrup. Removed from heat and let cool. In a large punchbowl, mix together remaining cups of cold water with lemon juice. Add in the syrup and stir well. Add in lemon slices and blackberries. and add ice cubes, so it’s ready when guests arrive! Oh so cute! 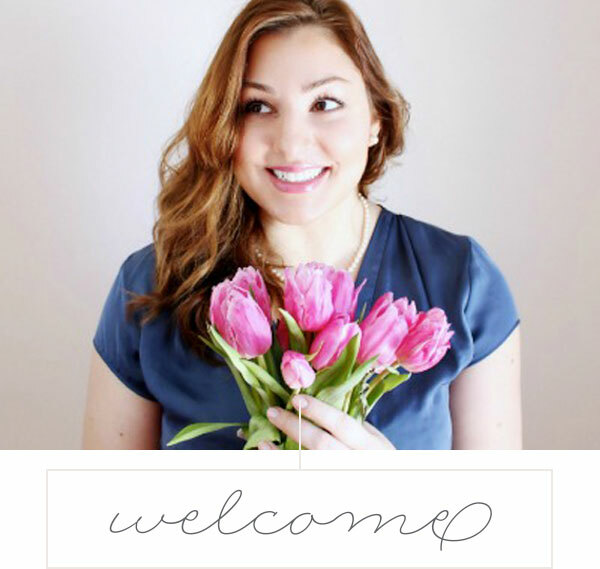 I think I saw this theme on one of those party blogs, it’s so sweet! I think your little guy looks a little bit like you, am I right? Happy B-day to him! And have a great Halloween weekend Emily! Thank you Tina and Gaby! have golden in our hair, so that’s where he gets the hint of ginger. Hi Emily! 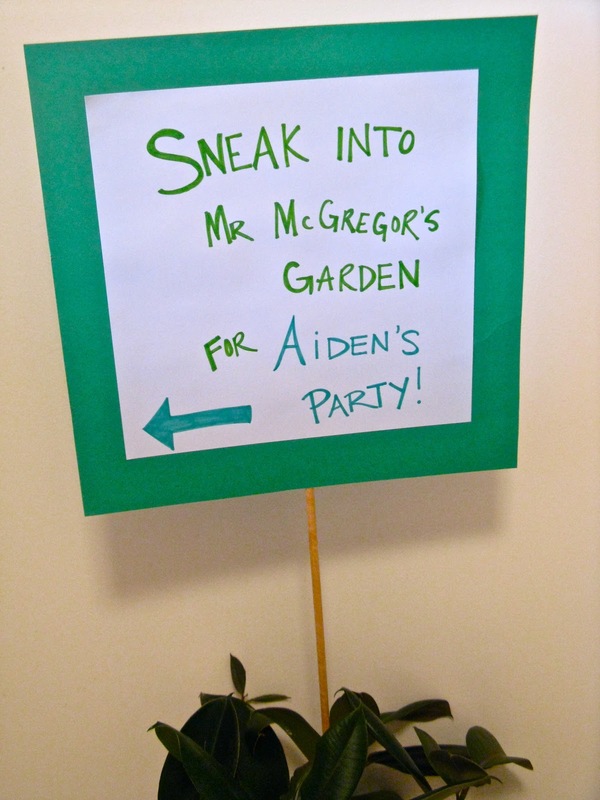 Wow you threw such a fun and beautiful birthday party for your little boy! Happy Birthday to your son! I don’t have such a creative mind to throw this kind of cute birthday party. Wonderful job! Well Happy Birthday to little A and congrats to you all! What a lovely party you made. Such a sweet theme and all of your goodies looked so delicious! (I love the little lemonades!). Everything looked so special! What a cute party!! I love Peter Rabbit! Everything looks delicious! Happy 1st Birthday to your little guy! Where did you find those party hats- LOVE!